Humans living in South Africa in the Middle Stone Age may have used advanced heating techniques to produce silcrete blades, according to a study published in the open-access journal PLOS ONEby Anne Delagnes from the CNRS (PACEA – University of Bordeaux, France) and colleagues. Middle Stone Age humans in South Africa developed intentional heat treatment of silcrete rock over 70,000 years ago to facilitate the flaking process by modifying the rock properties – the first evidence of a transformative technology. However, the exact role of this important development in the Middle Stone Age technological repertoire was not previously clear. Delagnes and colleagues addressed this issue by using a novel non-destructive approach to analyze the heating technique used in the production of silcrete artifacts at Klipdrift Shelter, a recently discovered Middle Stone Age site located on the southern Cape of South Africa, including unheated and heat-treated comparable silcrete samples from 31 locations around the site. The authors noted intentional and extensive heat treatment of over 90% of the silcrete, highlighting the important role this played in silcrete blade production. The heating step appeared to occur early during the blade production process, at an early reduction stage where stone was flaked away to shape the silcrete core. The hardening, toughening effect of the heating step would therefore have impacted all subsequent stages of silcrete tool production and use. 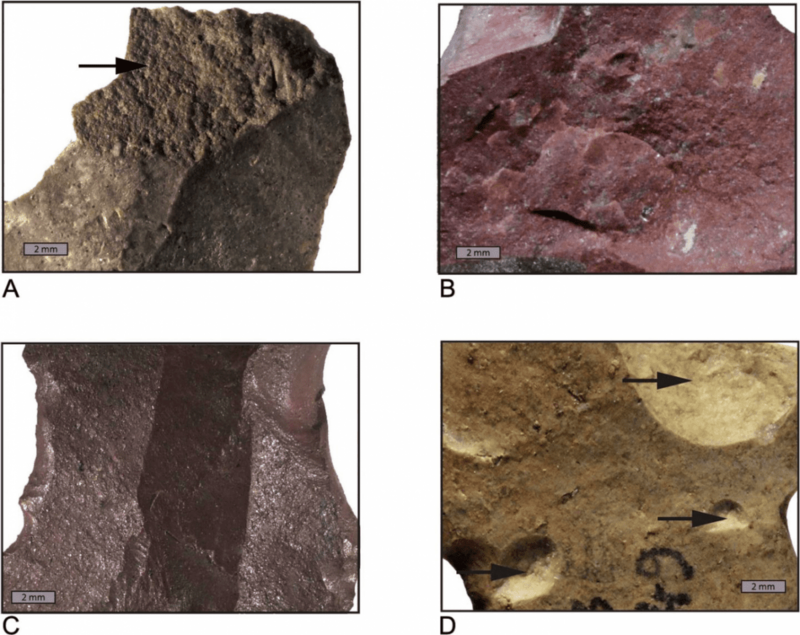 The authors suggest that silcrete heat treatment at the Klipdrift Shelter may provide the first direct evidence of the intentional and extensive use of fire applied to a whole lithic chain of production. Along with other fire-based activities, intentional heat treatment was a major asset for Middle Stone Age humans in southern Africa, and has no known contemporaneous equivalent elsewhere.